But Jeffery’s inertia faded when she joined a program for frail low-income seniors: Community Aging in Place—Advancing Better Living for Elders (CAPABLE). Over the course of several months in 2018, an occupational therapist visited Jeffery and discussed issues she wanted to address. A handyman installed a new carpet. 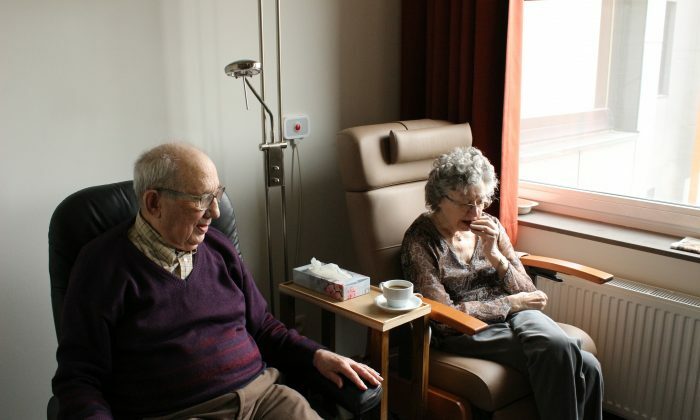 A visiting nurse gave her the feeling of being looked after. New research showed that CAPABLE provided considerable help to vulnerable seniors who had trouble with “activities of daily living”—taking a shower or a bath, getting dressed, transferring in and out of bed, using the toilet, or moving around easily at home. Over the course of five months, participants in the program experienced 30-percent fewer difficulties with such activities, according to a randomized clinical trial—the gold standard of research—published this month in JAMA Internal Medicine. Positive findings are especially notable given the population that was studied: 300 poor or near-poor older adults, nearly 90 percent women, over 80 percent black, with an average age of 75 and multiple chronic medical conditions such as heart disease, arthritis, and chronic obstructive pulmonary disease. While about one in three older adults in the United States needs help with one or more daily activities, rates of disability and related health care costs are higher in this challenged population. Half of the older adults in the trial received the CAPABLE intervention, which includes six visits by an occupational therapist, four visits by a registered nurse, and home repair and modification services worth up to $1,300. The control group received 10 visits of equal length from a research assistant and were encouraged to use the internet, listen to music, play board games, or reminisce about the past, among other activities. Seniors often say they want to cook meals for themselves, make their beds, use the stairs, get out of the house more easily, walk around without pain, or go to church. With a new grant of nearly $3 million from the Rita & Alex Hillman Foundation, Szanton is turning her attention to expanding CAPABLE across the country. Currently, the program is available at 26 locations in 12 states, and Medicaid programs in Massachusetts and Michigan have adopted a version of it for some members. A major challenge is securing funding since public and private insurers don’t typically pay for these kinds of services. So far, foundation and grant funding has been a major source of support. Szanton hopes to persuade Medicare Advantage plans, which cover about 19 million Medicare recipients and can now offer an array of nonmedical benefits to members, to adopt CAPABLE. Also, Johns Hopkins and Stanford Medicine have submitted a proposal to have traditional Medicare offer the program as a bundled package of services. Accountable care organizations, groups of hospitals, and physicians that assume financial risk for the health of their patients are also interested, given the potential benefits and cost savings. Another priority will be looking at how to extend CAPABLE’s impact over time. Since benefits diminished over a 12-month period in the just-published clinical trial, additional program elements—phone calls, extra visits, and follow-up assessments—will probably be needed, said Dr. Kenneth Covinsky, a professor of geriatrics at the University of California–San Francisco and co-author of an editorial on CAPABLE that accompanied the study. We’re eager to hear from readers about questions you’d like answered, problems you’ve been having with your care, and advice you need in dealing with the health care system. Visit khn.org/columnists to submit your requests or tips. Judith Graham is a writer for Kaiser Health News where this article was originally published.